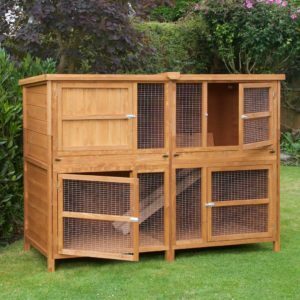 So, whats the difference between a 2 Tier and a Double Hutch? Good question! 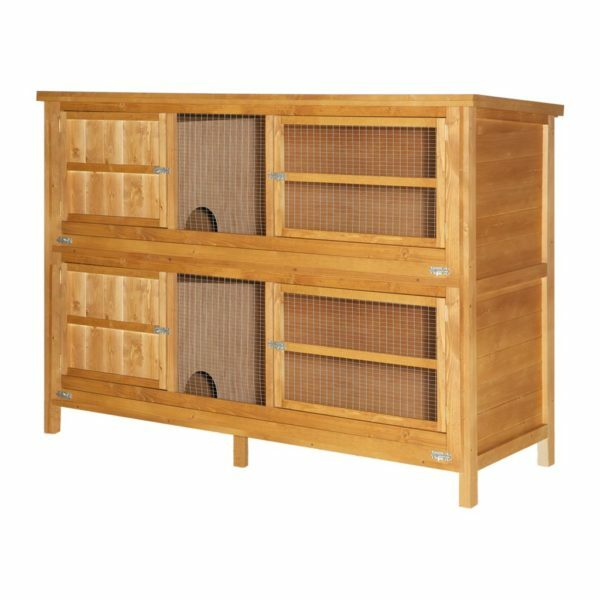 A 2 Tier hutch has two levels where each floor is separate with its own sleeping compartment and there’s no ramp connecting them. 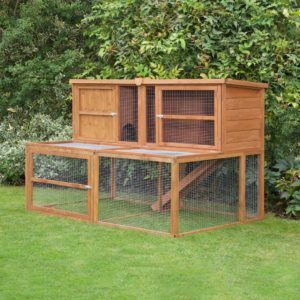 The 2 Tier hutches are perfect if you need to keep your little ones separated. Even after having rabbits spayed and neutered some owners find their pets still don’t like living together. 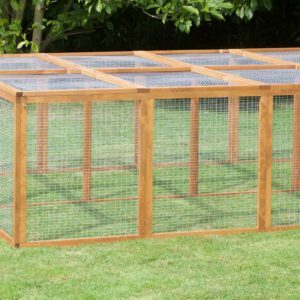 If you have this problem, then you might have to separate your beloved bunnies. And like any divorce, both sides deserve a happy and fulfilling life after the split. 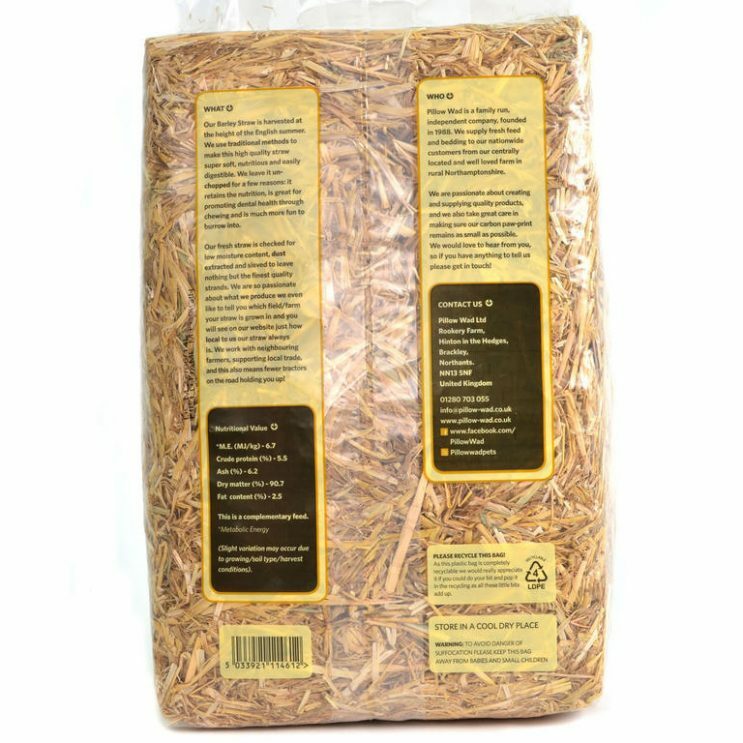 Separating rabbits though can prove to be a challenge and expensive. To cut down on the costs of ownership and make it as simple as possible our 2 Tier system with separated compartments is a fantastic solution. Huge and completely separated living quarters plus a divided sleeping area gives each divorcee their own home without sacrificing on space. 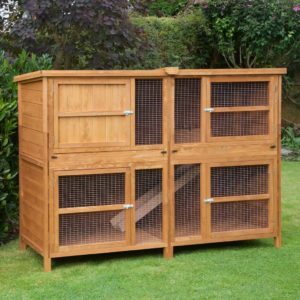 This and many reasons more is why rabbit lovers choose the 2 Tier’s as their go-to hutch. All hutches in the Chartwell range come with a handy under door cleaning bar. 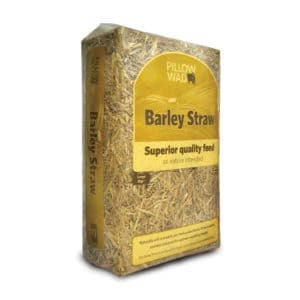 Cleaning is simple, just remove the bar stopper then sweep the waste into a bin or container. All Chartwell 2 Tiers are manufactured in the UK using 10mm Scandinavian Tongue and Groove wood for the side panels and the sleeping doors. A wired central section on each level is perfect for hanging water bottles, toys and boredom busters. 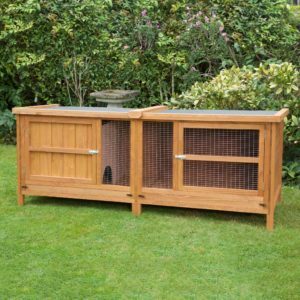 To prevent rising damp integral legs on the sides and centre have been designed to lift the hutch off the ground and ensure adequate air circulation. 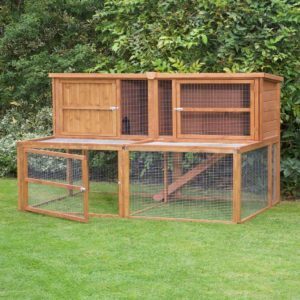 The 6ft Chartwell 2 Tier is by fare the most luxurious way you can safely keep your bunnies separate. 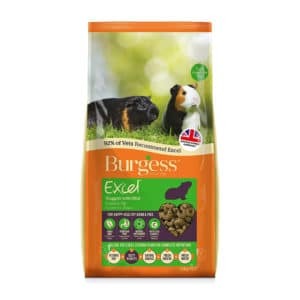 Thanks to the 2 Tier range a stress-free and independent living environment for your pets is just a click away. Why not add The Chartwell run to your purchase? 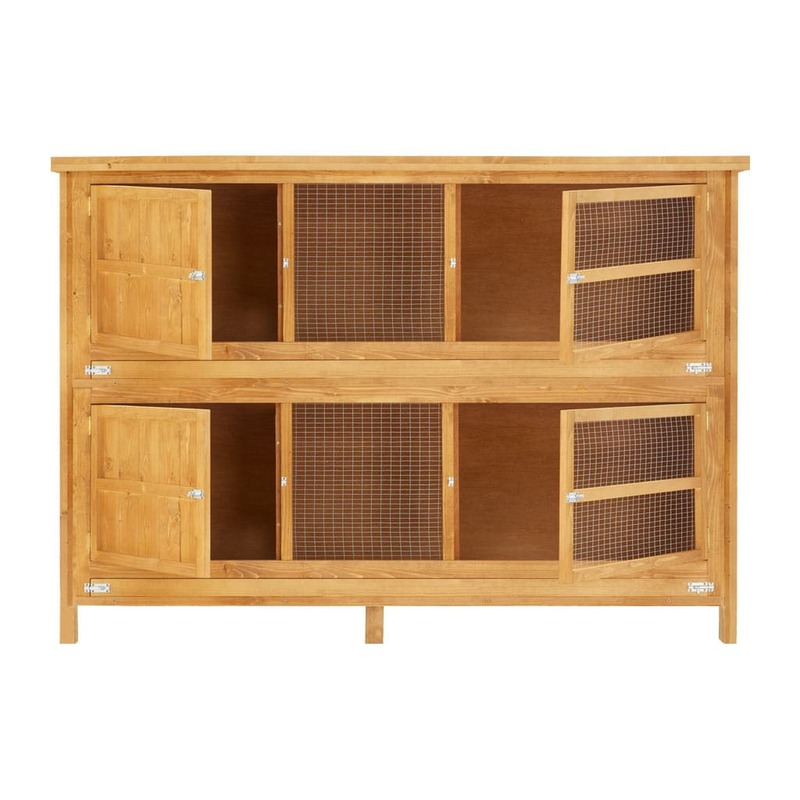 It fits onto the front of this hutch and is an easy way to provide additional recreational space for the lower tier. 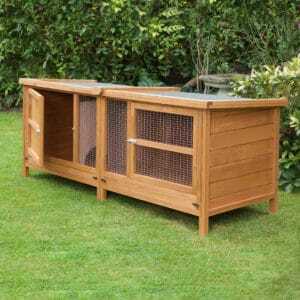 Rain resistant hutch Hugger & Insulation Snuggler available and will keep your hutch (and your pets!) 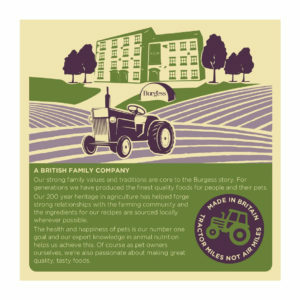 dry and snug, whatever the weather. Always position in a safe and sheltered area in the garden.